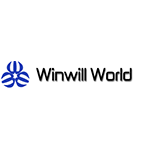 Winwill World mainly specializes in vehicle and home security products, such as home alarm and car alarm systems as well as pet tracking and personal tracking solutions. The company is headquartered in Shenzhen, China. The chart below shows the changes within the last 30 days in the number units of Winwill World devices type are connected to Wialon Data Center.